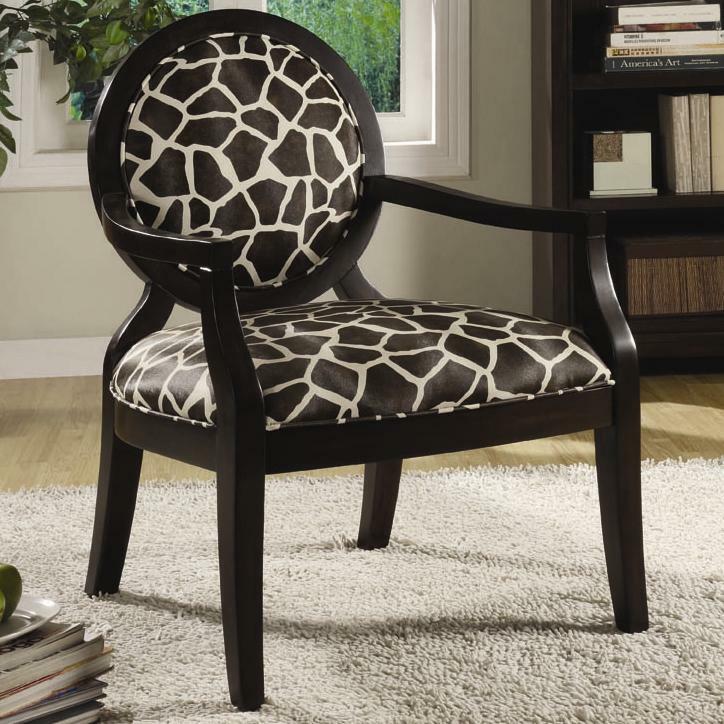 Unleash your wild side with this Louis style accent chair in a bold animal print. The classic Louis style undergoes a dramatic makeover with choice of stylish upholstery - a chic cream and brown giraffe print or a sleek black and tan zebra print - lets you customize this accent chair to suit your tastes. Subtle curves on the exposed wood arms and legs are bathed in a dark finish for an overall look that's exotic enough to spice up any space, yet tame enough for everyday use. Welt cord trim finishes the seat and seat back of this animal print accent chair with a stylish tailored look.